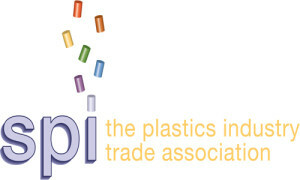 WASHINGTON – To demonstrate how plastics, and specifically PVC or vinyl, saves lives, SPI: The Plastics Industry Trade Association, and its affiliate, the Flexible Vinyl Alliance, will feature a special booth at NPE2015, March 23 -27, 2015, in the lobby of the South Hall of the Orange County Convention Center in Orlando, Fla. Among the showcased items will be an actual portable medical isolation containment unit similar to those used in Africa and elsewhere to isolate patients and protect medical personnel and the populace from the spread of infectious diseases and contain pandemics including Ebola and SARS. PPE or Personal Protective Equipment such as garments, masks and shoe covers will also be on display. This special booth at NPE2015: The International Plastics Showcase, which attracts 60,000+ visitors, 2,000 exhibitors and press from around the globe, is designed to show the world that “Vinyl Saves Lives.” Vinyl is a major plastic component used in the manufacture of portable medical isolation units, protective garments, floors and a host of other medical products in the fight against infectious diseases and potential global pandemic such as Ebola, ASAES and Lassa Fever. The booth will be supported by leading soft vinyl producers and manufacturers of specialized medical products and systems, as well as organizations using these materials in affected regions of Africa and elsewhere. The Flexible Vinyl Alliance, SPI’s Flexible Vinyl Products Division, The Vinyl Institute (VI) and the Resilient Floor Covering Institute (RFCI) among others, will be represented in the booth. A wide range of other medical products and healthcare groups are expected to be part of the presentation. The “Vinyl Saves Lives” project and booth is an initiative of Washington-based SPI: The Plastics Industry Trade Association, its members and allied groups. 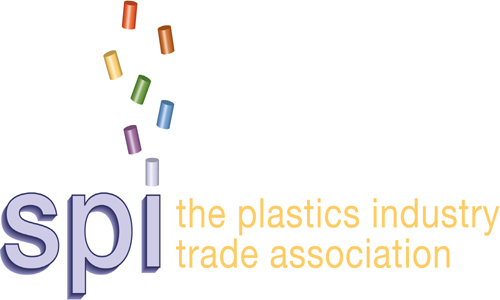 SPI owns and operates the NPE 2015: The International Plastics Showcase, one of the world’s largest tradeshows. The special booth is expected to be one of the main attractions of the show. The plastics manufacturing industry accounts for more than $380 billion in annual shipments in domestic sales and employs about 900,000 people in 15,949 facilities across the U.S.“The plastics industry is ready to take a strong stand and demonstrate to the world that, indeed, vinyl is a great product that, among other things, is a dominant material used in hundreds and hundreds of medical and healthcare products and as a result, saves lives,” said SPI President and CEO William R. Carteaux. The plastics industry is the third largest U.S. manufacturing industry and a significant contributor to the domestic economy. The industry has an enviable record as an affordable, durable and sustainable material used safely for more than 50 years. The FVA is a coalition of trade organizations, materials suppliers, compounders, formulators, molder and fabricators and serves to provide messaging and advocacy on the proven safety economy and utility of flexible PVC.